The Annual Festival takes place from the 1st to the 3rd of March 2013. 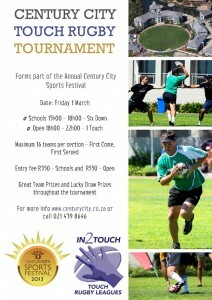 The Touch happens on Friday afternoon for Schools and Friday night for Corporate and Open. Last years event was oversubscribed a week before the tournament. Dont miss out this time! Get your entry in now!